Perhaps the most important part of prayer, and maybe the hardest part, is to start praying. Starting is hard because we have an enemy that is always working to keep us from it; and we also have our fleshly nature that fights against it. And so, it seems that we are always struggling to find the time to pray, and then to actually make the decision to pray. But it is so important to overcome the enemy and to make that decision. For that reason, we need power in those beginning moments, power to say, “Yes, I will start my prayer time now, no matter what I feel like or what the excuses are. So pray for the power to pray. Pray constantly that God will give you that power. The first thing we must do as we approach God’s throne is to call on the Holy Spirit to give us the power to know how to begin to pray. It is not enough to just say words, such as, “Our Father who art in heaven, Hallowed be Thy name.” We must know what those words mean. If we pray those words we must earnestly desire that He be hallowed and revered. And so, what I am saying is that as we begin to pray, we need the power to settle ourselves down and to fix our thoughts on the glory of God. And we must know, and should remind ourselves as we begin to pray, that we cannot pray at all apart from the work of Christ in us. Yes, within every believer God is at work through the power of His Holy Spirit, in Christ, to fill up each one with His fullness. The degree to which this is accomplished depends upon the degree to which we will allow Christ to come and dwell within our hearts. Thus, just as Paul prayed for the Ephesian church (in Ephesians 3:16-20), we must pray for ourselves and for our friends that God would strengthen us with power through His Spirit in the inner man, so that Christ may dwell in our hearts through faith. I believe the implication in verses 16 and 17 is that there may be places in our lives that we do not want Christ to enter. Yes, many of us I am sure have secret places where we would rather not allow Him to come. They are the places of sin and fantasy, the places of our own pleasure and selfishness. The power we need (v. 16) is that power given by the Holy Spirit to simply say yes to Christ when He knocks at our hearts door and asks to come in and dwell in every room of our lives (Rev. 3:20). He wants to come in and clean up the mess we have made of ourselves. He wants to show us how much He loves us. He wants to root us and ground us in His love so that we are able to comprehend with all the saints what is the breadth and length and height and depth, and to know His love which surpasses knowledge. He wants to fill us up with the fullness and the power of God. With this power of God working within us we will not only know how to begin to pray, but will soon experience things through prayer that are beyond our imagination (Eph. 3:20). I would suggest that if you are serious about establishing a consistent prayer life that you recruit a prayer partner or two who will pray with you and for you. Ask him or her specifically to pray that God would remind you to pray and that He would draw you to prayer. 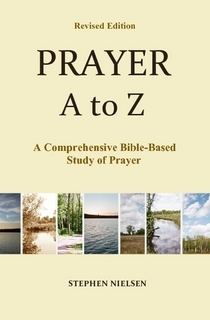 This entry was posted in Power in Prayer, Prayer A to Z Excerpts and tagged Holy Spirit, prayer, prayer partner, Revelation 3:20. Bookmark the permalink.